I have now been a Trustee for seven months and this is my third Newsletter. It is so fantastic learning about all the activities going on in our Region, both in individual U3As and in the various Networks. So many of you work incredibly hard to ensure that the learning and laughter to be found in U3A continues to enhance the lives of so many. 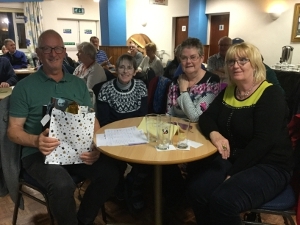 Fourteen teams from the Leicestershire & Rutland Group of U3As took part in a highly successful, fun quiz evening on 26th March 2019, organised by South Leicestershire U3A at the Conservative Club, Market Harborough. Bob Morris was quiz master, taking team members through his 8 rounds of questions, encompassing his own take on life and sense of humour. Homemade cake (some of it made by our own Bake Off celebrity, Frances Quinn) and drinks helped the grey matter to keep working. Winners pictured left, more information on the Leicestershire & Rutland website. At the start of yet another new year, 2019, I would like to thank all those of you who are active within your own U3As, as well as in the Networks, for your commitment and hard work over the last year. We all know what a difference U3A makes to people’s lives, and without your efforts that would not be possible. Let us look forward to more learning and laughter in our lives in 2019. 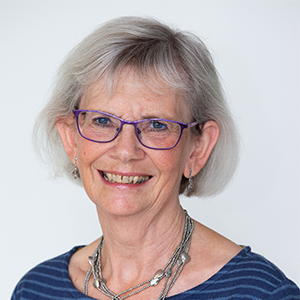 In my reports I hope to be able to keep you informed, not just about what I do, but also the many activities of the Third Age Trust that are intended to support all of our U3As. I have just spent most of the weekend trying hard to make sense of all that I have done and learnt over the last few weeks and hope that I can pass on the most important. I am very much enjoying the process of getting to know what is happening in our Region and hope I will have met you all soon. The 2017 News items have been moved to the News 2017 Archive. The 2016 News items have been moved to the News 2016 Archive. The 2015 News items have been moved to the News 2015 Archive.